Father Charles (Chuck) Pfeffer has been dead just about 10 years now, but he can still pack a church. Maybe it should be expected. After his death at age 53 on Dec. 21, 2004, the anticipated crowd for his funeral Mass was so great it was held at the Cathedral Basilica of SS. Peter and Paul. 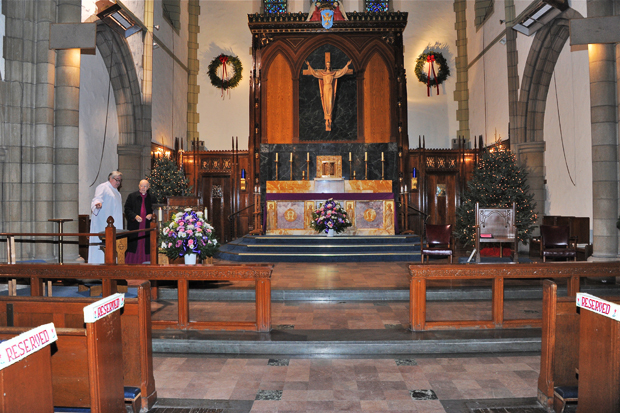 Now, on Dec. 14, many of those who attended his funeral and others who knew him only by reputation visited Blessed Virgin Mary Church in Darby for the 11 a.m. Mass on Dec. 14 to celebrate the anniversary of his new life in the resurrection. What Father Chuck did that has kept his memory green was mostly, but not entirely, work with youth and young adults — ministries that are just as important today as they were in his lifetime. After his 1977 ordination he served as parochial vicar at St. Anthony in Ambler and St. Kevin in Springfield. 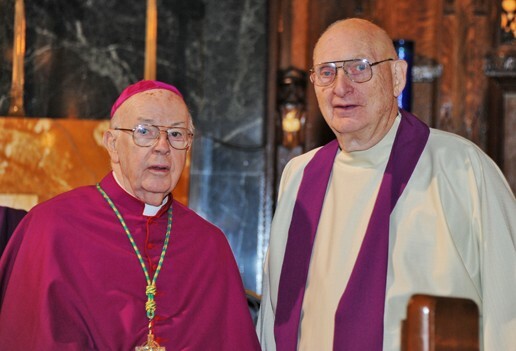 In 1984 he was named director of the archdiocesan Catholic Committee on Scouting, and the next year assistant director of CYO, followed by head of the Office for Youth and Young Adults and finally Chaplain for the Penn Newman Center. Along the way he also established Theology on Tap in Philly for young adults and was a co-founder of the Catholic Leadership Institute, which is still going strong and based in Wayne. “We are here to celebrate his joy in our hearts, his priesthood, his ministry, his youthfulness and his unselfishness,” said Father Joseph Corley, the pastor at B.V.M. and the principal celebrant and homilist at the Mass that memorialized Father Chuck, his friend from their seminary days. 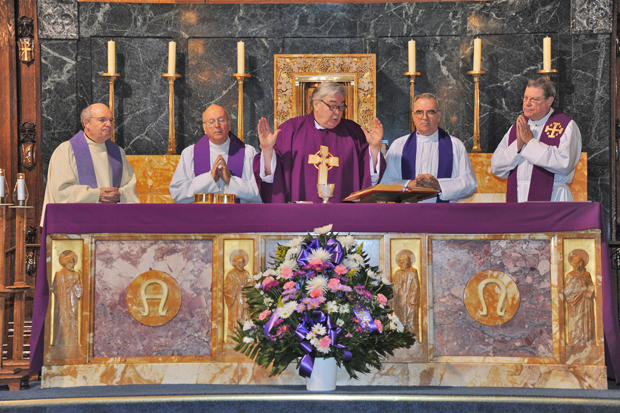 Father Corley called attention to the other priests present including Bishop Robert Maginnis, who presided at the Mass and who was Father Chuck’s immediate predecessor at the Department of Youth Activities, and Msgr. Francis Schmidt who was the bishop’s predecessor. Msgr. Schmidt, who also knew Father Chuck through youth ministry, was so impressed that in his memory he founded Father Chuck’s Challenge, a non-profit that has raised millions to provided decent housing for the poor in Nicaragua and Haiti. 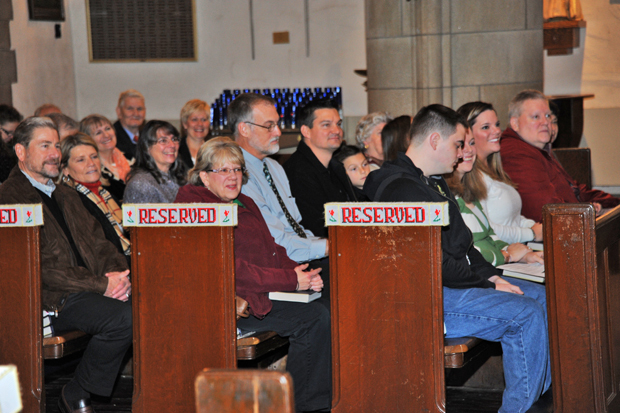 A large contingent of Father Pfeffer’s own family was also at the Mass including his younger brother, Jack Pfeffer. The best testimonies come from the young people he influenced. Among them were Christine McCann and Tanya Murgia who were active with Community Service Corps, an outreach program for high school students, in the mid-1980s. If it weren’t for Father Chuck and Theology on tap I would have never met my future husband Also, met many good female friends through the Young Adult ministry in Phila, enjoyed the many young adult conferences and trips. The trips to help others in need were very enriching, fulfilling and life giving. Looking back I can say Father Chuck was under appreciated, he was so humble, my husband and I enjoyed his parting charge ‘God love ya’ after visiting with him. Thank you God for gifting such a man in our lives! I remember Father Chuck from the CYO program, Discovery Leadership Institute in the mid 70s.